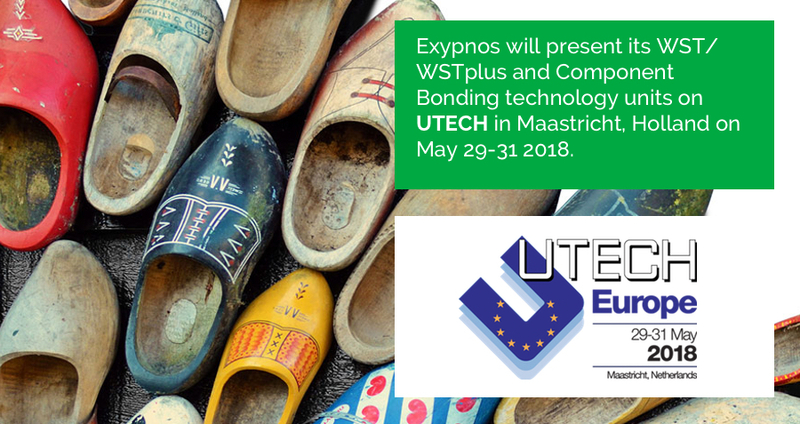 If you’re looking to find the newest polyurethane innovations, plan to be in Maastricht, Holland on May 29-31 for UTECH. Exypnos will be there to proudly present its WST/WSTplus and Component Bonding technology units, offering industrial opportunities for the products of tomorrow. Admission to the exhibition is free of charge if you pre-register online by Monday, 30th April 2018. Otherwise, there is a charge of €70. Johan Van Dyck, CEO, will talk on “Innovative manufacturing methods using polyurethane” at the conference on May 31st, at 11:15am in the Florin room. Please visit the UTECH conference website if you would like to attend. Come and visit us at stand 807 in the exhibition area to interact with our technology experts. We look forward to meeting you at UTECH 2018! Production systems with a smart polyurethane application are part of our DNA. We provide industrial opportunities for the products of tomorrow. Subscribe to the Exypnos newsletter & stay up to date with news, events & projects.